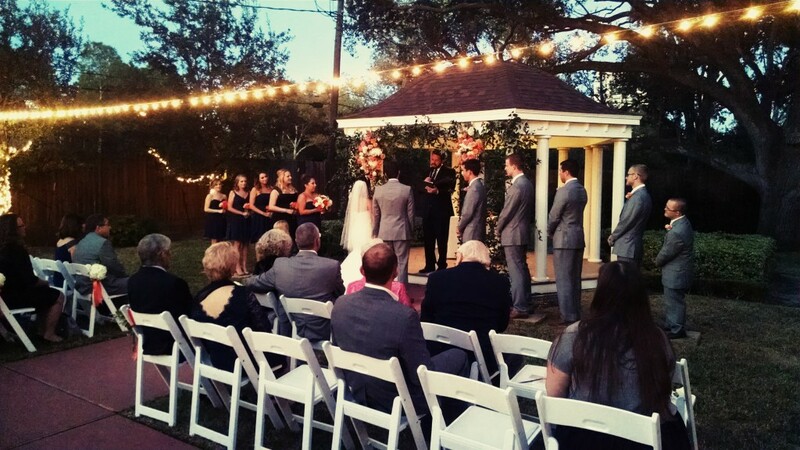 Yesterday evening, DJ Forrest was The Wynden DJ at South Post Oak for Andrew and Holly. Such a fun and beautiful couple!! Below we are featuring a short video to illustrate this November 1st, 2014 event to hopefully explain why magical weddings don’t just happen automatically! Holly and Andew at The Wynden on Post Oak from Xceptional DJ’s + Photo Booths on Vimeo. If you want your wedding to be similar to this video, you have a great opportunity when hiring a top notch pro like DJ Forrest or Xceptional Dj’s. We have over 15 years in business and specialize in MAGICAL wedding fun. Contact us today for pricing and information! Within the romantic Tuscan setting, The Wynden is centrally located in the presitgious Galleria area featuring a private enclosed garden area along with charming ample space inside as well. The Wynden continues the tradition of style, elegance and attention to detail that sets us apart. Masraff’s has long since been know for excellence and uncompromising quality and The Wynden continues to follow in this tradition. Catering is performed by Masraff’s elite staff; so be assured that your next event will be a memory made to last a lifetime!